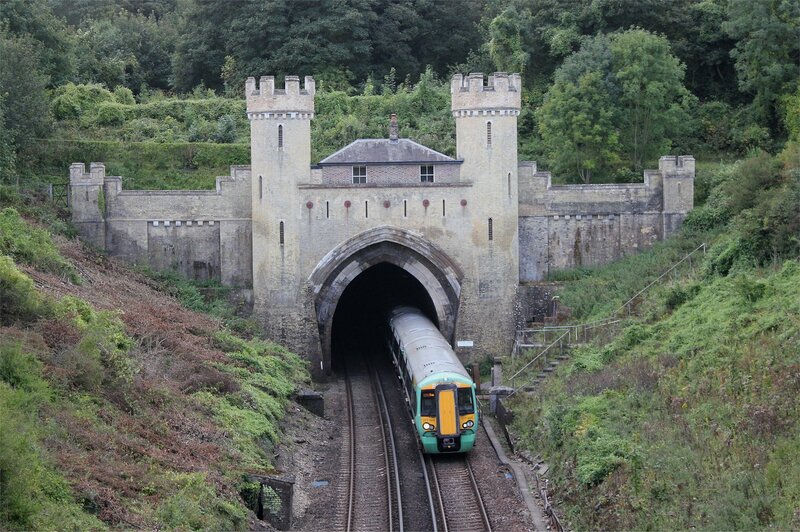 I have often marvelled at some of the architectural wonders on the railway line between London and Brighton, in particular the Ouse Valley Viaduct, Brighton station and the ornate entrance to the Clayton Tunnel. 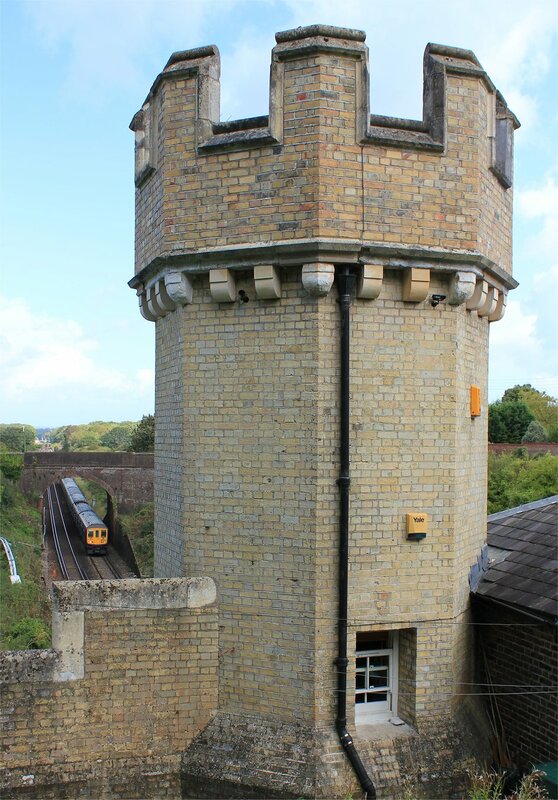 I noticed last year that the cottage above Clayton Tunnel North Portal had been opened for tours during the Brighton & Hove Open Door event (when various private properties across the Brighton area are opened to the public for the weekend). I was too late on that occasion, but when the event came round again this year I took the opportunity to book a place on the tour. I caught a train down to Hassocks (the nearest station) with Brett early on Sunday morning. In theory we should have had plenty of time, but a go-slow caused by the closure of the fast lines to Brighton swallowed up all the extra time I had allowed. Luckily, a fairly straightforward walk along a footpath that runs parallel to the railway line delivered us to the portal at the right time (albeit to the wrong entrance). After taking a moment to catch our breath, we headed round to the right entrance and the next one and a half hours were spent on a wonderful tour/wander around the north portal. Our host for the morning gave us a lively history of the turreted tunnel portal and the theories on why such an ornate entrance was constructed in 1841 (which is all the more puzzling as the south portal has a very plain entrance). The most likely theory seemed to be that the landowner made this a stipulation of the line crossing his land and would have been in keeping with his country mansion at Danny House. It certainly makes a distinctive landmark on the line and you can’t help but love it. Around nine years after the construction of the portal a tunnel keeper’s cottage was built on top of the portal, which is certainly one of the more eccentric homes I have ever seen (at least from the outside). It is hard to imagine how some railway families managed to squeeze themselves into the cottage and raise fairly large families in such a confined space. One of the most surprising revelations was just how quiet the cottage is inside with the windows closed – I had imagined that the place would rattle and shake incredibly but that was far from the case. It was a thoroughly enjoyable visit and the stories about the portal and its many secrets, the Clayton tunnel crash and the current occupier’s attempts to manage the environment were utterly compelling. Afterwards we headed to the Jack and Jill Inn next door for a great pub lunch followed by a leisurely walk back to Hassocks with a distant view of the Jack and Jill windmills on the hilltop – the perfect way to round off the day.